Yes, you'll have to take our word for it. 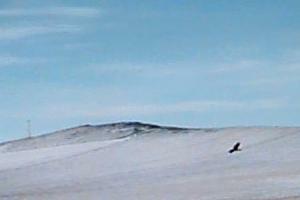 That black blob really is an eagle. One of these days, if the eagle ever lands, we'll upgrade some of the equipment around here. Till then, things will continue to look sort of like they did before you got your eyeglass prescription updated.